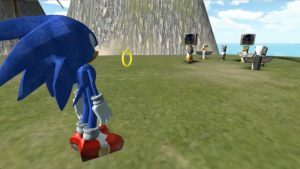 The Sonic Stadium has discovered a proof of concept for a Sonic the Hedgehog virtual reality project. The concept was developed for SEGA by Big Sky VR a Los Angeles based studio who worked on Coachella Explorer the first-ever mobile 3D simulation of the Coachella Music Festival. Big Sky describes their Sonic concept as a puzzle game in which our blue hero takes the user on an adventure through typical Sonic environments, though they fail to elaborate on any puzzle elements. Big Sky developed a proof of concept for Sega to help them bring their icon Sonic the Hedgehog to the world of Virtual Reality. In this puzzle game experience Sonic escorts our user along an adventure that takes him across land sea under volcanos and above the clouds thats true to Sonic form. Big Sky’s Greg Edwards has shared a video of the demo on his Vimeo account two months ago indicating that this is a very recent project. Whether anything more will come of this further down the line is unclear, but it’s interesting to know SEGA is looking at bringing Sonic to the world of virtual reality. 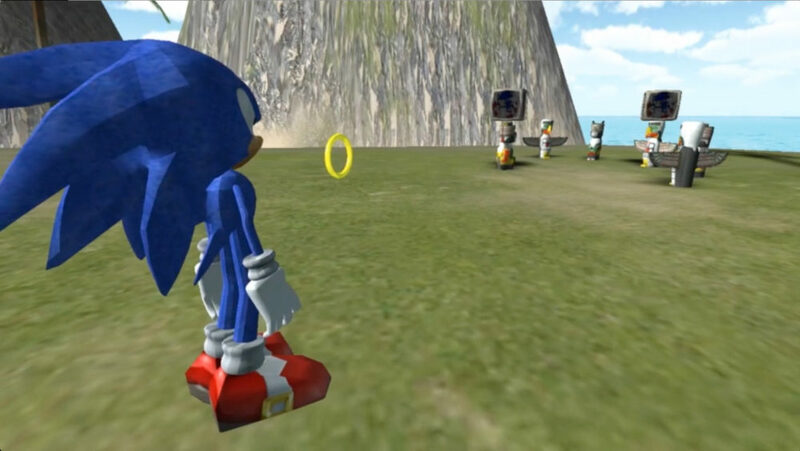 Would you like to see a Sonic the Hedgehog virtual reality game? Let us know in the comments. Ever wondered what Sonic would look like in virtual reality? YouTuber Chadtronic decided to answer that question for you in the above video, where he boots up a level made in fan created engine Sonic GDK. He tells viewers that “…if you get woozy on the roller coasters at theme parks, then you’ll probably stay away from this one. But besides that it’s extremely fun”. If you’ve got your own Oculus Rift and want to try out the level, Chad provides all the download links to get it going yourself in the description of his video. What do you think? Do you want to see a virtual reality Sonic game?